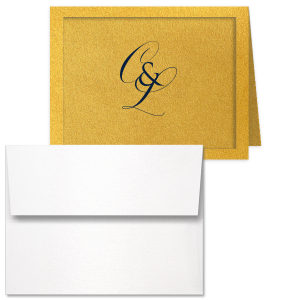 Panel Note Cards come in many colors. 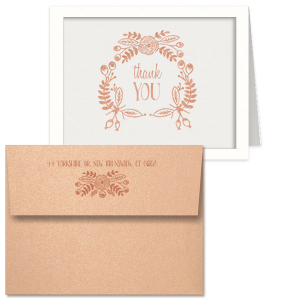 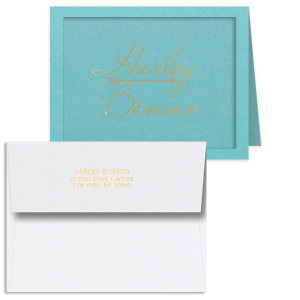 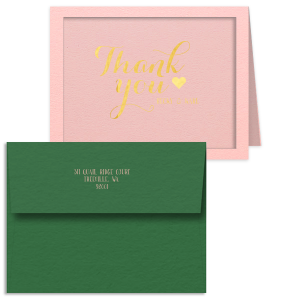 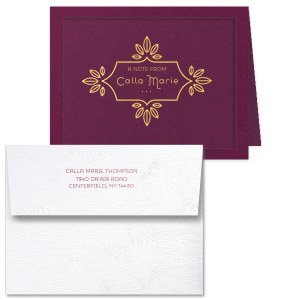 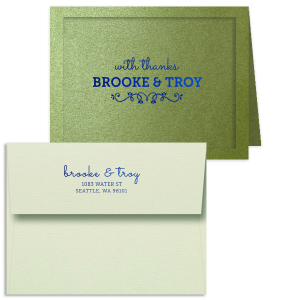 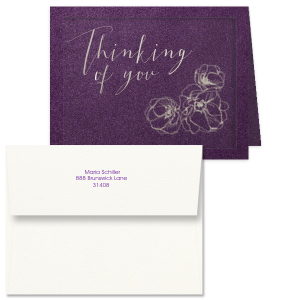 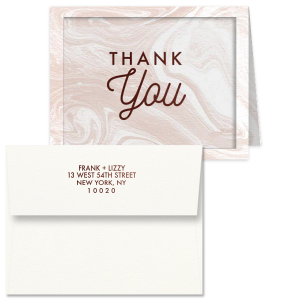 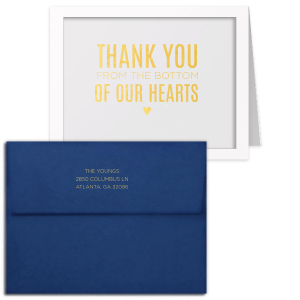 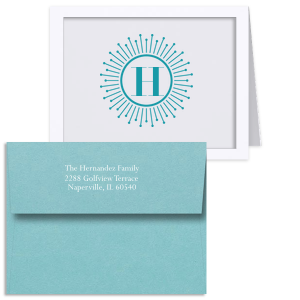 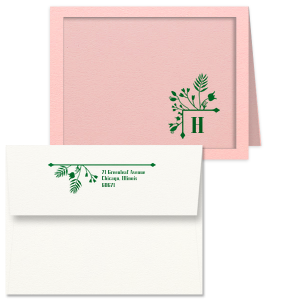 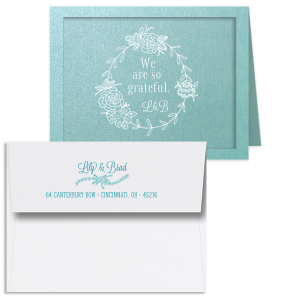 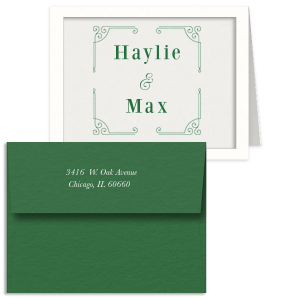 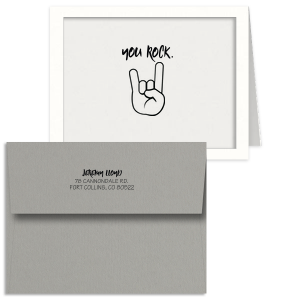 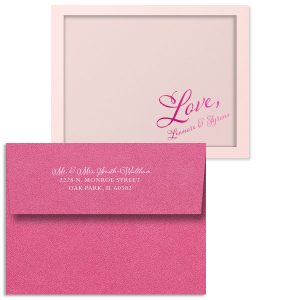 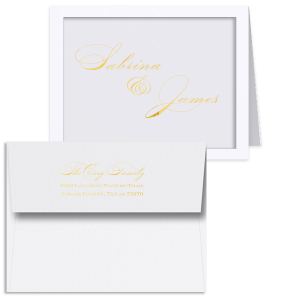 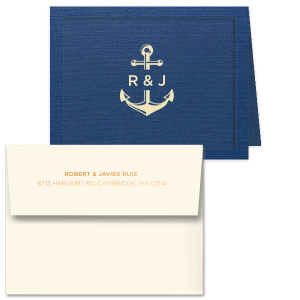 Create your own personalized stationery or custom note cards and choose from a wide selection of imprint colors in shiny, matte and satin. 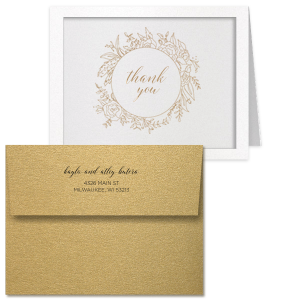 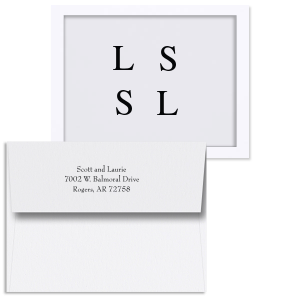 Or consider our designers’ choice: a natural white with matte chocolate lettering.